Club Monaco is an American retail company owned by Polo Ralph Lauren. This high-end casual clothing store has over 100 locations worldwide and is expanding their collection every year to include all four seasons. The chic style combines modern and classic influences. With Big Apple Buddy’s personal shopping service, you can now buy direct from the Club Monaco online store anytime, anywhere. 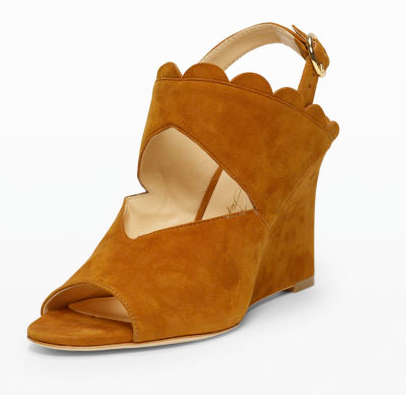 Make your feet happy with the Isa Tapia Cordoba Sandal of the Club Monaco heels collection. The suede material is comfortable and guarantees a strong grip so your feet are secure. The fun design was inspired by Marc Jacobs and Oscar de la Renta styles and the wedge heel provides the extra boost. The bold color will combine with anything and make you stand out in the best way. For those cooler days, the Rocci Embroidered Jacket is a must! The unique and intricate designs of the beads make it a subtly beautiful jacket to wear any time of the day. 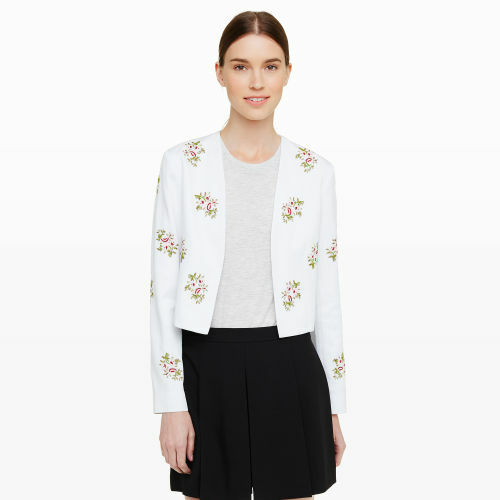 Pair it with a skirt, dress, or jeans - the embroidered jacket will go with anything. It's soft to the touch and a straight fit so it molds to your body. Best of all, the open front allows you to show off whatever you wear underneath. Put the finishing touch to your outfit with the Kendall Conrad Sino Lupe Bag from the Club Monaco handbag collection. 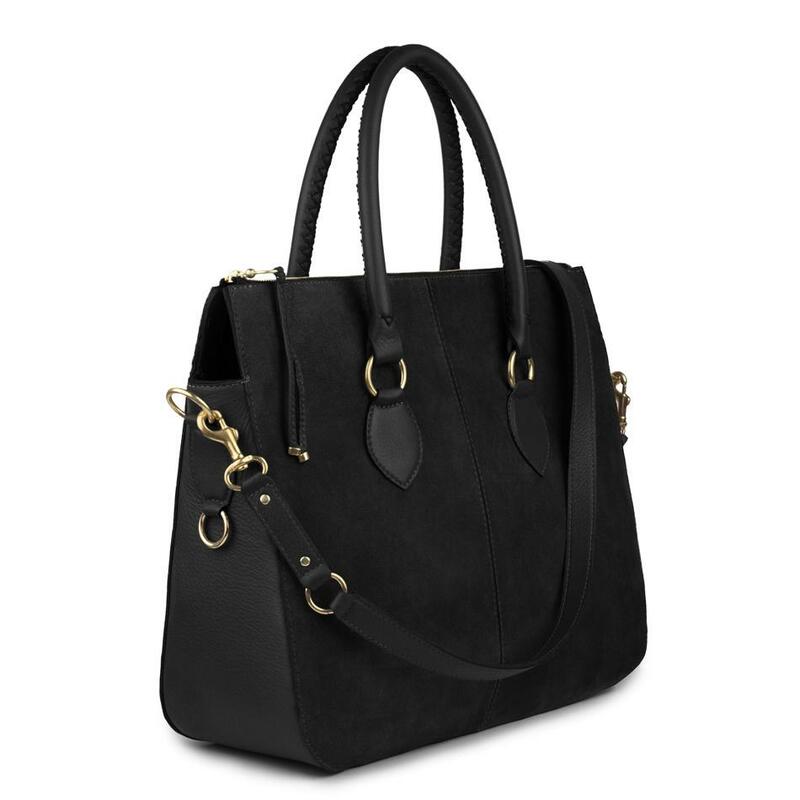 This soft nappa leather bag is perfect for any occasion! It can be a tote bag or a shoulder bag depending on how you want it and has a suede-lined interior with plenty of space. The chic design makes it a fashion statement while the practicality makes it an essential accessory. Unfortunately, the USA Club Monaco online store does not currently offer international shipping. However, Big Apple Buddy, your personal shopper, can help you buy products direct from the official USA Club Monaco online store and ship them to your doorstep, no matter where you are in the world. We offer international shipping to over 110 countries including Australia, Austria, Azerbaijan, Bahrain, Belgium, British Virgin Islands, Brunei, Bulgaria, Canada, Chile, Costa Rica, Croatia, Czech Republic, Denmark, Estonia, Fiji, Finland, France, French Polynesia, Germany, Gibraltar, Greece, Greenland, Hong Kong, Hungary, Iceland, Indonesia, Ireland, Israel, Italy, Japan, Jordan, Kuwait, Latvia, Liechtenstein, Lithuania, Luxembourg, Macau, Malaysia, Maldives, Malta, Marshall Islands, Mauritius, Monaco, the Netherlands, Netherland Antilles, New Zealand, Norway, Oman, Poland, Qatar, Romania, San Marino, Saudi Arabia, Serbia and Montenegro, Seychelles, Singapore, Slovak Republic, Slovenia, Spain, South Africa, St. Lucia, Sweden, Switzerland, Taiwan, Thailand, the UAE, the UK, Vatican City, and Vietnam. If you would like to buy from the USA Club Monaco online store, simply let us know which items you would like to order (by filling out the form below) and we’ll get back to you with a free international shipping quote within 24 hours!